Images from: Messrs. Fores. 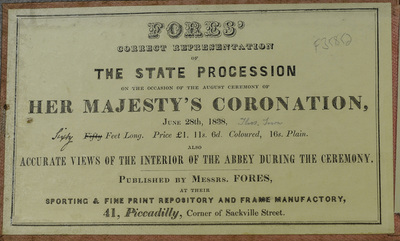 Fores' Correct Representation of the State Procession on the Occasion of the August Ceremony of Her Majesty's Coronation, June 28th, 1838. 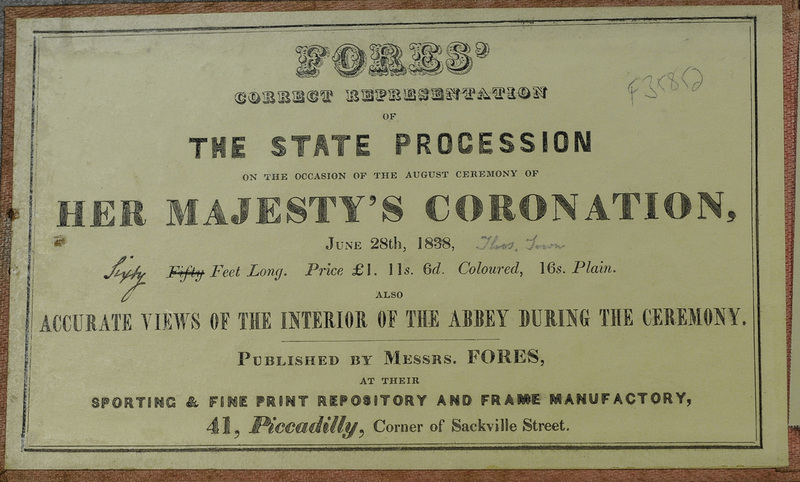 [London]: Messrs. Fores ..., 1838.